Dr. Todd M. Wente is a board certified orthopedic surgeon who specializes in sports medicine and arthroscopic surgery of the knee and shoulder. He also performs knee replacement surgery and fracture management. Dr. Wente grew up in central Illinois and became interested in orthopedics during high school after having the opportunity to observe surgeries with local orthopedic surgeons. That interest was continually renewed during his involvement in athletics, particularly basketball, throughout high school and college. Dr. Wente earned MVP honors in leading Illinois Wesleyan University to the NCAA Division III Final Four in 2001. His experiences in athletics and sports-related injuries enhanced his focus on becoming an orthopedic surgeon. 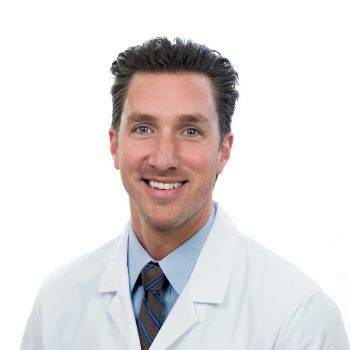 After finishing his undergraduate education at Illinois Wesleyan University, Dr. Wente earned his medical degree at Southern Illinois University School of Medicine in Springfield, Illinois, in 2005. He went on to complete an orthopedic surgical residency at the University of Arkansas for Medical Sciences in 2010. Dr. Wente completed his training with a fellowship in Sports Medicine at the Kansas City Orthopaedic Institute/University of Missouri-Kansas City in 2010-2011 where he served as assistant team physician for the Kansas City Chiefs. As a child, Dr. Wente and his family routinely visited Colorado where they would come to ski and explore the mountain town of Breckenridge. After beginning his orthopedic career in Illinois he had the opportunity to move to Colorado in 2013. Having practiced in the Castle Rock community for several years, Dr. Wente is now a part of Panorama Orthopedics & Spine Center and is excited to be the anchor of our new Castle Rock location. Dr. Wente believes that an active lifestyle is vital for people of all ages and he recognizes the loss of those activities can have significant negative impacts on a patient’s life and overall health. 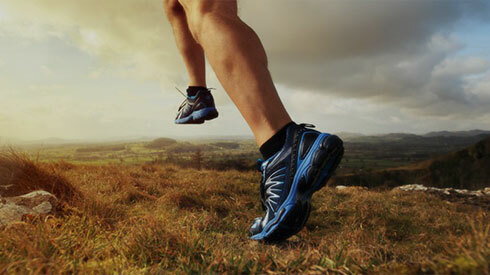 He is grateful for the opportunity to help individuals return to the active lifestyle that they enjoy. Dr. Wente’s patient philosophy focuses on good communication – on the ability to thoroughly explain the diagnosis and treatment options in terms that each patient can understand. He emphasizes the importance of providing his patients with a variety of options for treatment and rehabilitation as only they can make the best decision for themselves. Outside of the workplace, Dr. Wente loves the outdoors and the lifestyle Colorado has to offer. He and his wife enjoy skiing, hiking, fly fishing and golf. Having grown up on a lake in the Midwest he still enjoys water skiing when he has the chance and has recently found a new hobby in photography.